As we continue on our journey to our winter job, I thought I would share some final photos from the Tetons, of our animal sightings this summer. We have had good success this summer in seeing many birds and animals in Grand Teton National Park. I wasn’t able to get pictures of everything, as I did not always have my camera with me. Our first trip into the park, May 14, resulted in success when we spotted a black bear, and then saw two very small cubs running several yards behind her. The cubs were hard to see, as they kept darting in and out of the woods. One was brown in color, and one was black in color. Brad and Joanne, the owners of Luton’s Teton Cabins, own several horses. One day on my walk around the property, I sensed something behind me, and turned around to see the horses sneaking up behind me. Maybe they thought I had carrots or something in my pocket. Sorry guys, no food! I tried all summer to get a picture of the Mountain Bluebird. They are very jittery birds, and this was the best I could get. On an outing with Erin, one of our fantastic coworkers, we spotted a grizzly roaming around the side of the highway. I only had my cell phone with me, so it’s not a good picture. Elk, pronghorn and buffalo roam about five miles down the road from the cabins. Some days there are just one or two, other days, a large herd of them. In the spring, you will see a lot of “red dogs,” which are the baby buffalo. They like to run around and play. We always warn our guests not to stand near the fence to take pictures of the buffalo. People don’t realize that the buffalo can easily jump over fences. They may not look graceful, but stay out of their way! Our biggest highlight, was “Moose-a-Palooza” when we found 10 moose in the Gros Ventre Campground when our friends Mike and Sue were with us. We were surprised to find two bull moose together. The one laying down on the left, had a “lady friend” hiding in the tall grass behind him. Eventually the one on the right laid down and started “chatting” with us. You’ve seen those “share the road with cyclists” signs…in Yellowstone, you have to share the road with buffalo! Unfortunately, the one animal that I have been specifically trying to find, continues to elude me….the porcupine! Karen and Al must have felt sorry for me, as they surprised me at our last employee potluck meal with my very own porcupine! I guess this will have to do for now. I wonder if they have them in Arizona? 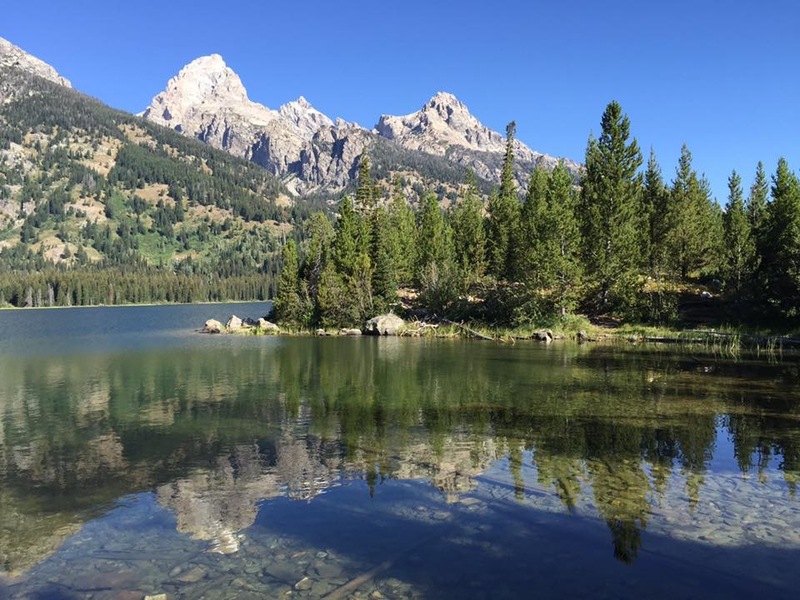 This entry was posted in Grand Teton National Park, Wyoming, Yellowstone National Park and tagged Wyoming by liv2rv. Bookmark the permalink. Thanks for sharing your wildlife photos – Al and I have a goal of seeing moose whenever traveling where they might be – just one experience, at dusk – saw two female in a ditch while in Nova Scotia. Where are you wintering this year? We will be in Yuma AZ for the winter, working 3 days a week at a campground. Come grouse hunting with us in Northern Wisconsin, at least one dog every year finds a porcupine. There are usually not good encounters for either the dog or the porcupine. When scouting for them, look up in the trees for a large round ball, that’s when you spot them. Send me a photo if you spot one!